AgileThought℠ is a full-service custom software consulting firm, staffed by the absolute best professionals in the business. Our mission is to fundamentally change the way people, organizations and companies view, approach and deliver software products. Since 2004, AgileThought has been a trusted partner to Fortune 1000 companies. From delivering custom software products, providing expert guidance on cloud and mobile strategies, to improving business agility, we can help. Click the service links on the left to learn more. AgileThought launches your agile transformation using AgileIgniteTM, Scrum.org training, and customized coaching and consulting to find your path to business agility. Transform your development and operations capabilities through people, process, and tool improvements to continuously deliver value to your customers. Use advanced machine learning and data science engineering to automate decision making and supercharge your business. Looking to Make the Move to the Cloud? Modernize your IT and application infrastructure with managed cloud hosting from AgileThought. Your systems have never been more secure, more scalable, or more reliable. Navigating through the challenges of enterprise mobility requires expert insight from an experienced team with deep technical knowledge. Whether you’re looking to consolidate enterprise information assets under one roof, automate business processes or collaborate across the globe, AgileThought can provide customized solutions on your SharePoint or Office365 portal. Collaboratively design and prototype new innovative software products to create new business opportunities. Your business runs on software. Grow revenue and cut costs with an enterprise-grade system, built for the unique needs of your business. 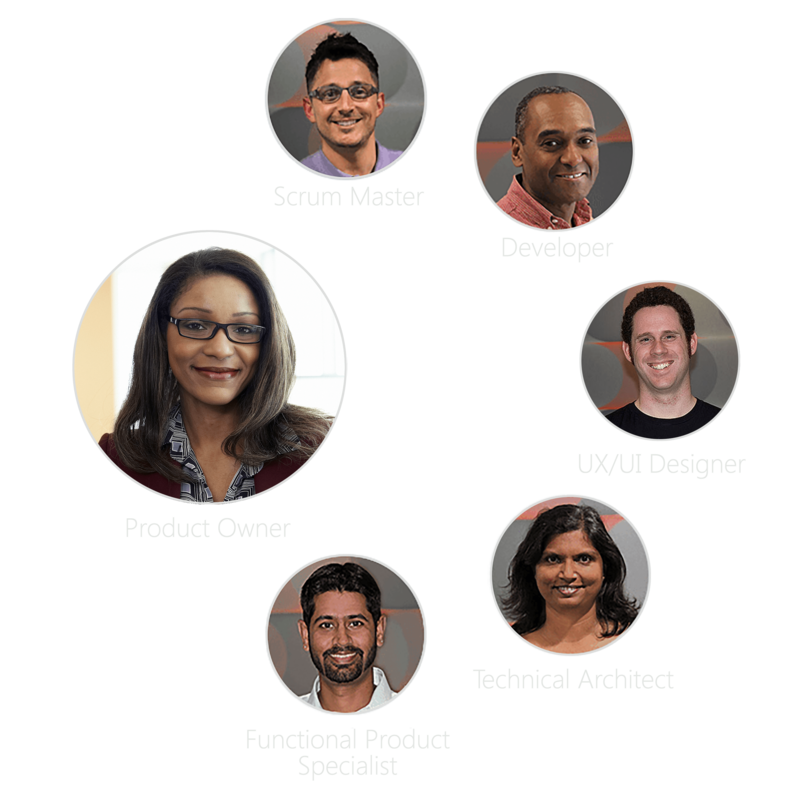 We are extremely proud of the talented, experienced, and passionate teams we have assembled who view software development as a true craft. This unique perspective drives us to always seek better solutions and to focus on delivering business value at every opportunity. We use an agile and incremental approach to software development. Working in Scrum teams, we use small iterations instead of one long cycle, you see the product as it evolves – meaning fewer surprises and more opportunities to refine your needs. We’re one of the best places to work! Imagine a place where you work alongside bright, humble professionals who are interested in your ideas and focused on delivering the best solutions for their clients. We are that place. You and your team can benefit from AgileThoughts deep technical knowledge without leaving your office through our webinar series. Receive instruction on enterprise development tools, the latest web technologies and more. If you are looking to improve your team's Agile and ALM knowledge, reduce overall project risk and increase efficiency, AgileThought provides on-site, classroom-style training for companies and organizations. Gain insights and knowledge from our experts through AgileThought's content library which includes case studies, screencasts and white papers on subjects from integrating proper ALM practices to enterprise mobile strategies. Our clients turn to us for the kind of expertise that comes from understanding how innovative technologies can successfully address real business needs across a complex landscape of systems and devices. We respond to every challenge with a relentless drive to add real value to our client’s business with each interaction.